If you’ve ever wondered how to create your own stamp, look no further! 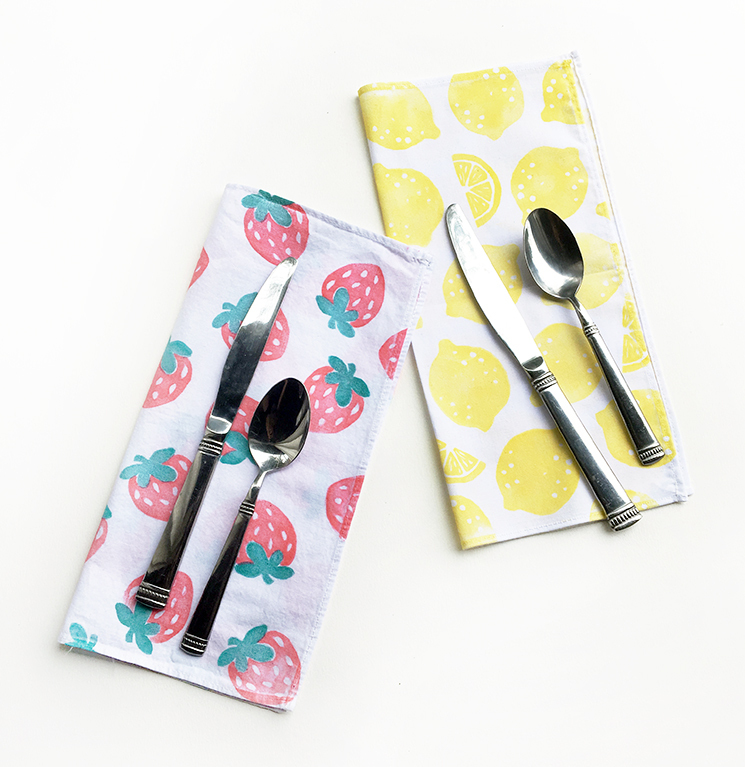 In this DIY we are going to make some cute napkins for your home and summer garden party. These are easy to make once you get the hang of it, and addictive too. Stampcarving is very satisfying! Click below to see the steps and more pictures of the finished product! 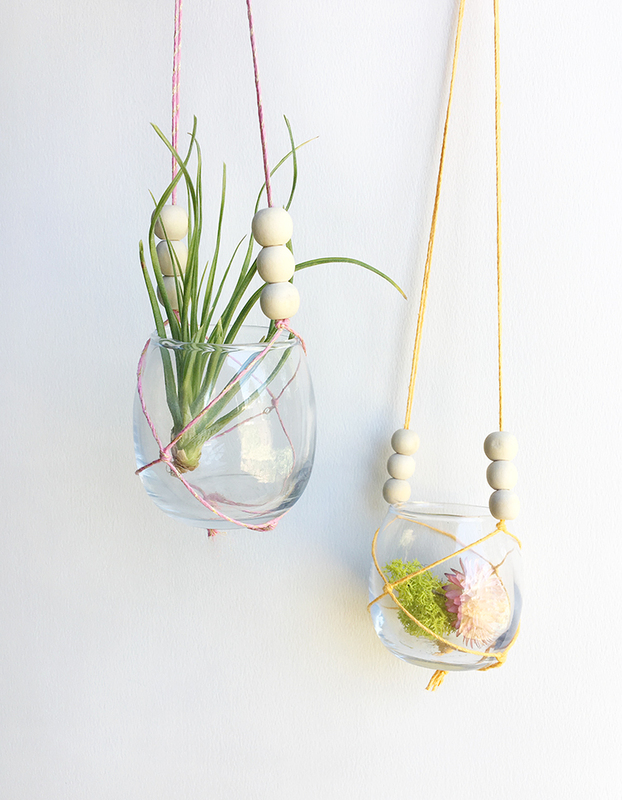 One of our favorite summer crafts is macramé. Small projects like this macramé plant hanger is a portable and easy craft to do while enjoying the outdoors—sitting in the park or on a porch. It makes a charming, inexpensive, handmade gift. It's a great craft for pre-teens and older! Click the jump below for more pictures, and for a step by step of this cozy DIY. Now that it’s summer, kids are out of school, and it’s time to keep them busy with crafting! 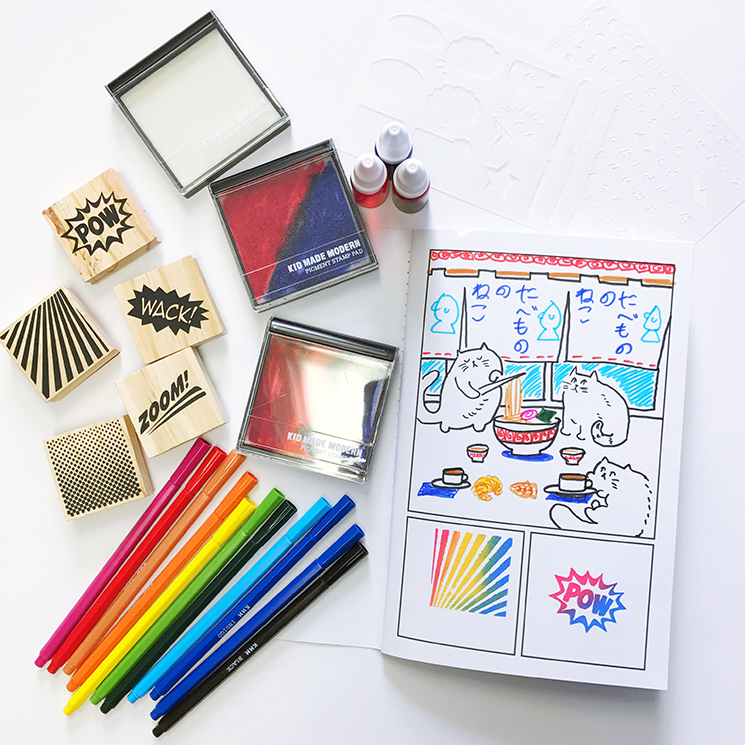 We have a lot of creative kits and supplies at collage to keep the kiddos occupied. 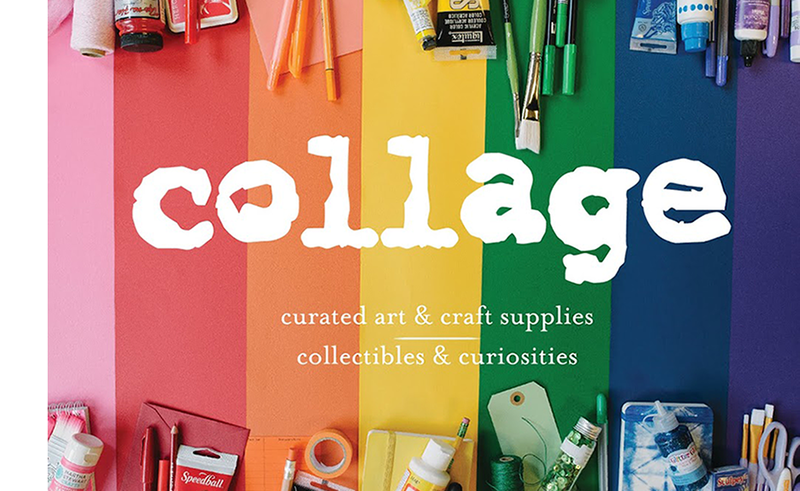 We decided to dedicate a post to some bright and fun new products at collage. Handy comic book kits. We have lots of markers and stamps to accompany these kits too. Available at all collage locations. 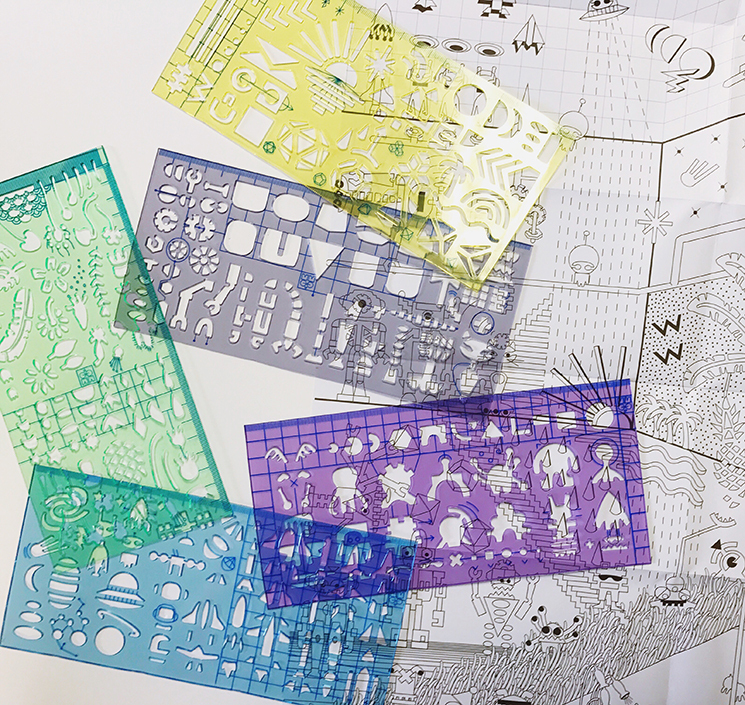 New cartooning stencils that help you make robots & more! Great for road trips. Available at all collage locations. Click below to see more cute new products. Sunnier days and Independence Day is right around the corner. We have been thinking about some fun projects for outdoor summer parties. 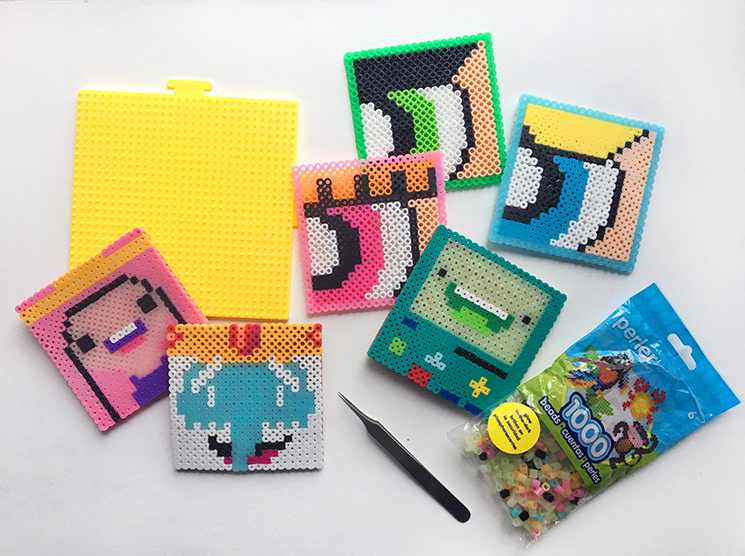 On that note, we love perler beads: they are delightful and addictive, and fun for adults and kids alike. These perler bead coasters are great to jazz up a party, or to set your sweet summer treats on. The supplies are simple and available at all collage locations! Adventure Time coasters and Powerpuff Girls coasters. Read on to learn more and see our projects!